We are Dicalcium Phosphates Exporter & Supplier. 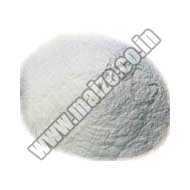 We offer good quality Dicalcium Phosphate Chemical that is a highly demanded as it is odorless and without lumps. This white powdery Dicalcium Phosphate is used in veterinary and micro-nutrition products. Used as poultry, animal and cattle feeds, it is also available in various quantities and packing as demanded by global customers. We are called as one of the topmost Dicalcium Phosphate Exporters and Dicalcium Phosphate Suppliers from India. We make available our superior quality Dicalcium Phosphate Chemicals at highly competitive prices. We have never received any bad feedback from customers. Customers are always happy to make purchase from us. We ensure only the highest quality Dicalcium Phosphates are dispatched to the customers and the quality does not get deteriorated during transit. We are very reliable! Customers can also approach us for immediate requirements. We are efficient and can handle many bulk requirements for Dicalcium Phosphate simultaneously together.